RIVERHEAD, N.Y. (CNS) – At a stage in life when most people her age have eased into retirement, Sister Margaret Smyth shows no signs of slowing down. Nearly six decades after answering the call to religious life in Queens, Sister Margaret, 75, is still going strong, ministering to a large population of Latin-American immigrants who live and work in the eastern region of Long Island. A member of the Sisters of St. Dominic of Amityville, L.I., Sister Margaret is director of the North Fork Spanish Apostolate, a position she has held since 1997, when the Diocese of Rockville Centre hired her to provide outreach to a rapidly growing number of foreigners arriving from Central and South America. 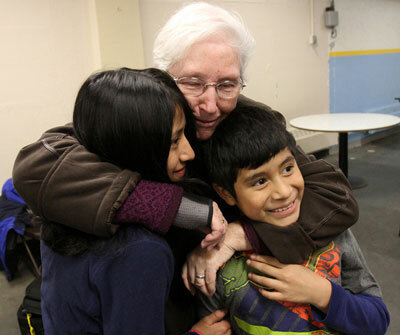 Having previously worked as a teacher, principal and religious education director in schools and parishes in the Brooklyn Diocese, Sister Margaret enthusiastically embraced the opportunity to use her Spanish-language skills to welcome and work with immigrants settling on the East End. Sister Margaret faced the challenge head-on and over 18 years, built a faith-based support system that has tended to the spiritual, material and emotional needs of thousands of immigrants. Operating out of an office in the former school building of St. John the Evangelist parish, Riverhead, she works six to seven days – and evenings – a week. Her wide-ranging responsibilities fall under two categories: church ministry and social services. Her church work includes coordinating a Spanish-language Mass at St. Agnes Church in Greenport on Saturday evenings, and another at St. John the Evangelist on Sunday nights. Additionally, she directs faith formation, teaches classes for the Rite of Christian Initiation of Adults, runs Bible studies, oversees youth ministry and helps families prepare for sacraments. She also directs retreats and trains extraordinary ministers of holy Communion, lectors and ushers. As a social worker, Sister Margaret assists and counsels individuals and families struggling with income, immigration, legal, language, employment, housing, education and substance-abuse issues. 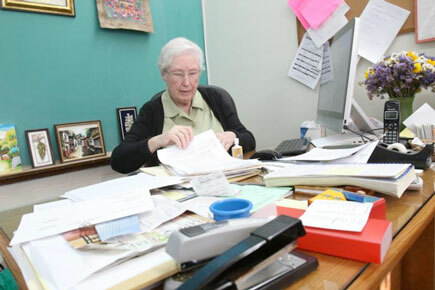 Despite her heavy workload, Sister Margaret said her ministry continues to give her joy and satisfaction. “Sometimes I say to myself it would be nice not to run out every single night,” she told Catholic News Service. Christopher Worth, a Riverhead-based attorney specializing in immigration law, has worked with Sister Margaret and sees the connection she has with the people she serves. Recipients of Sister Margaret’s support include, among others, farm, vineyard, restaurant, landscaping and construction workers, and people who assist with child and elder care. Consuelo Ludlum, a retired teacher who has volunteered in Sister Margaret’s office for 10 years, has seen the Dominican sister confront employers who have tried to take advantage of immigrants by denying them just wages, or have used the threat of deportation to intimidate them. There also have been incidents where workers were victims of sexual harassment. Sister Margaret has the ability to diffuse many difficult situations during the day. However, the most challenging part, she said, is to remain “patient” with everyone who seeks her counsel. “It’s a challenge to remain upbeat after a day of going nonstop,” said Sister Margaret, who, in addition to her apostolate work, oversees St. John’s parish social ministry, which includes a busy food pantry. Ludlum marvels at how Sister Margaret seems to effortlessly manage her workload. “I don’t know where she finds the energy, other than to say it’s God-given,” the volunteer said. One of three siblings born to immigrant parents from Ireland, Sister Margaret grew up in Queens, where she learned that people from other countries weren’t always welcomed with open arms. Her own family was forced to move from their apartment after being harassed by their landlady. And the immigrant experience hasn’t changed dramatically over the years, Sister Margaret noted. Sister Margaret’s ministry isn’t limited to Long Island. In recent years, she has joined a team of doctors, nurses and volunteers on mission trips to Honduras, where they provide medical care to the poor. Sister Margaret facilitates communication between the medical team and the families. 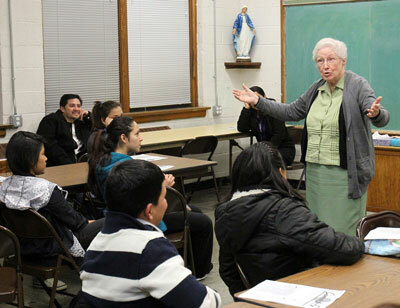 Sister Margaret Smyth, North Fork Spanish Apostolate director, teaches an R.C.I.A. class. 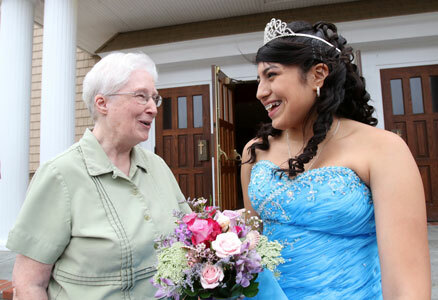 Sister Margaret with Jacqueline Secaida, 15, following the girl's quinceanera Mass June 27. 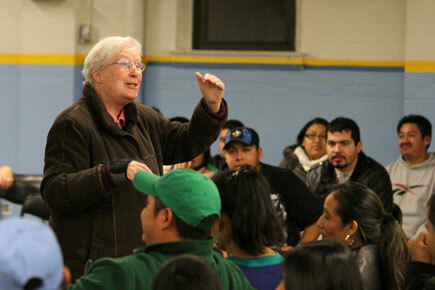 Sister Margaret speaks at an information session on immigration reform in Riverhead, L.I. 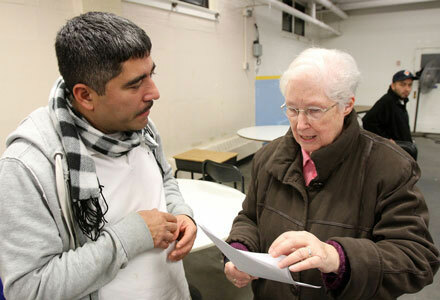 Sister Margaret assists a man following an information session on immigration reform. Sister Margaret said her religious vocation was nurtured at home, in church and in high school. Being raised in a strong Catholic family, she had strong role models. Her father’s brother was a priest in Ireland and England. She had three cousins ahead of her in her religious community. Her family belonged to St. Sebastian Church, Woodside, where she attended the parish school before going onto St. Agnes A.H.S., College Point, which was then-sponsored by the Dominican Sisters of Amityville. She entered the congregation in 1957, and professed final vows two years later, receiving the religious name Sister Noella. Her first ministry was as a school teacher at St. Thomas the Apostle, Woodhaven, 1959-63, and St. Catherine of Sienna, St. Albans, 1963-69. She taught Spanish at Bishop McDonnell M.H.S., Crown Heights, 1969-73, before serving as principal of St. Catherine of Sienna, 1973-81, and then Our Lady of Solace, Coney Island, 1981-85. From 1985-96, she served in St. John Cantius parish, East New York, where, among other responsibilities, she taught religious education. Sister Margaret calls her current work “a ministry of prayer,” saying she begins and ends each day with prayer. She tries to make every encounter with another person a prayerful experience, adding that stopping to spend time with God mustn’t be underestimated. “You can’t do a ministry of prayer, unless you also have lots of formal prayer, ” she said. Contributing to this report was Antonina Zielinska of The Tablet. Sister Margaret embodies every ideal we were taught at St. Agnes. I’m sure she is praying for all her former classmates and I will pray in a special way for her and for the work that she does. Love and prayers, Connie Carroll Gehnrich 57. P.S. Looking forward to to Nov.